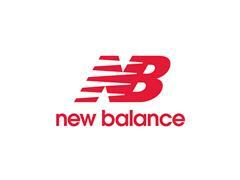 BOSTON, April 2014 – For spring 2015, Boston-based New Balance will introduce a new fitness trainer for women in which science meets style: the 811. Inspired by Kinesiology taping techniques and the aesthetic it creates, the 811 provides bonded lightweight, strategically-positioned support for athletes. This versatile shoe can take women from studio and circuit training to cardio workouts without sacrificing style. The 811 will launch in February 2015 with a suggested retail price of $74.95. The 811’s visual technology features visible forefoot flex grooves, allowing for flexibility and range of motion. The 811 will be available in several color ways and widths for women.